I am blessed to call this lady one of my besties. She says she is shy, but don’t let Ez’s “quiet” nature fool ya! She is such a powerhouse filled with purpose and determination when she is focused on her goals. Sometimes, you need to be a bit of a rule-breaker, get lost intentionally, and go find some adventure. Tha’ts what makes life interesting! Stepping in to support our annual golf tournament, she not only supports a cause, is an example of why we are all here in this group together: as we share each of our own experiences in life and business, our own journey softens as we come together with an unspoken code: Let’s Grow Together, Sister! I’m a bit stubborn and somewhat of a rule breaker. Please don’t tell me I can’t do something. You’ll make me prove you wrong. Fortunately/Unfortunately my kids have the same attitude in life and my new saying to them is, I gave you that face don’t give it back to me. I have had many role models and mentors that have helped me along the way. I would even say that it has been my team of mentors that have been the corner stone of my success and having a couple of people by my side listening and problem solving has helped me grow my company. Intention + Focus = Results. And when the going get rough… tread water, you got this. Everywhere! I am a gypsy blooded soul that loves to wander. I use to go get lost for the adventure of finding something interesting. I love the history and stories that communities tell. Life will sometimes break you, allow it to break you wide open because really the only happiness in life is to love and be loved in return. Mary Morrissey~ She teaches brain training, how to refocus and rewire your brain to think good thoughts.. Create goals through focus & Intention for best results in life. 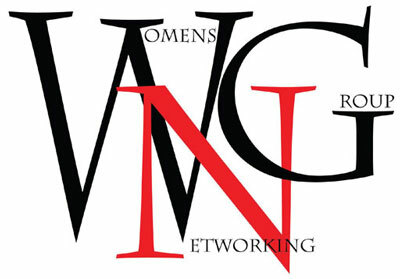 The WNG has been such a corners stone to feeling supported on this journey of business ownership. When you are wrangling the everyday throws of life and business. This group steps in to support and share experiences to soften your journey and the friends made along the way are priceless. I’m blessed to know and befriend many of the women who honor the unspoken code of let’s grow together sister. *This is a gentle nudge and reminder for you to set some time for yourself to relax and be spoiled! Make yourself an appointment for a massage at Mountainside Spa, refresh and nourish, and then go take on the world!